2 Bedroom Apartment To Rent in London for £4,333 per Calendar Month (Calculated). 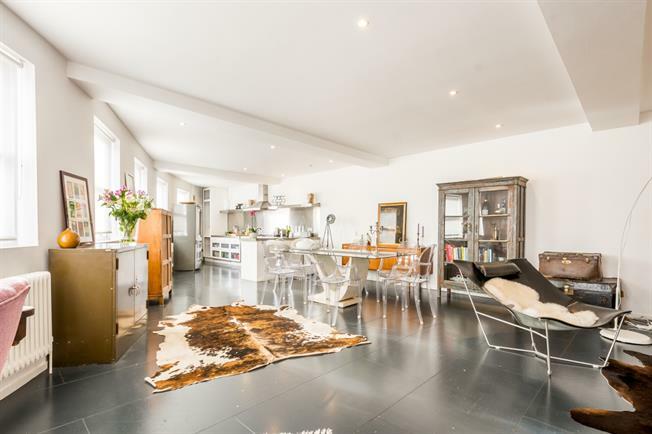 The property is set on the first floor of this warehouse conversion and consists of 1,259 sq ft. The two double bedrooms are both en suite, there is a separate cloakroom and additional storage in the hallway. The kitchen living room spans over 45 feet in length and is bright and airy. Offered fully furnished, all utilities included and ideal location. The property is situated almost equidistance from Hornsey and Harringey over ground lines allowing swift access in to the City. (Moorgate in 20 mins). Crouch End broadway with it's eclectic mix of shops and restaurants is moments away.